Cogito Group is a young, agile and innovative Canberra owned and operated ICT Company. We are cyber security experts and specialise in authentication, encryption and data protection - basically 'enabling technology' that keeps your physical, logical and cloud based data and infrastructure safe. Cogito Group is at the forefront of new technology. We have created a centre of excellence in Canberra. Cogito Group are problem solvers, system integrators, engineers, technologists and innovators. Our clients do not want a static solution, but rather one that evolves and improves over time. Our products and services are unique due to our market expertise. 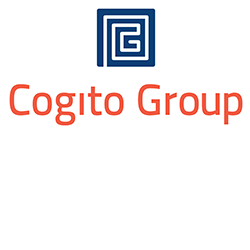 Cogito has provided Defence expert advice and engineering services on cyber security matters concerning Authentication, Encryption and Data Protection. We believe there are a number of factors that differentiate us from our competitors: - We are innovative - We can exploit the knowledge gaps we've identified - We are agile, adaptable and flexible to client needs - We have excellent client relationships. We deliver projects on time and in budget.